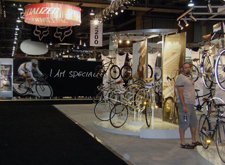 LAS VEGAS, US – The 2008 Interbike Bicycle Expo in Las Vegas was marked by less foreign visitors. 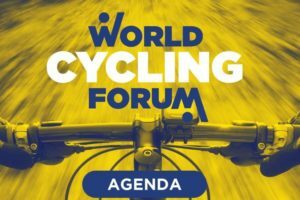 Like all international bicycle shows, Interbike loses business to Eurobike. American distributors of overseas brands can’t wait till Interbike starts which currently is three weeks after Eurobike. They travel to Europe to be the first at international distributor meetings in Friedrichshafen. Even for distributors from Middle and South America Interbike is too late, they go to Eurobike. This was said by several exhibitors and industry insiders in Las Vegas. One man that really stood out as a visitor of this year’s Interbike Show was cycling sport hero Lance Armstrong. 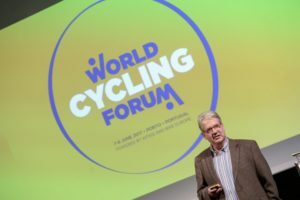 At a press conference he stipulated to the disappointment of several US bike industry leaders that he will not use his name for cycling advocacy. When asked what he could do to get more people cycling outside the sport he answered: “That’s an issue for the Government”. However, Lance Armstrong’s appearance at last weeks Interbike emphasizes the confidence of the US bicycle sector. Amidst collapsing banks, foreclosed houses and a tanking economy the American bike branch shows no sign of fall back. 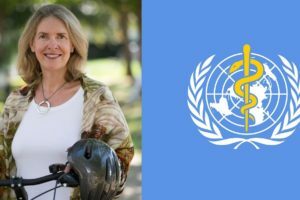 On the contrary, the industry continues to emphasize offering alternative mobility to fight global warming, traffic congestion and childhood obesity. The failing economy which comes together with rising fuel prices might give a boost to bike mobility. Although all signs are green and exulting comments are written in the general media, there no clear indications of real booming bike sales. 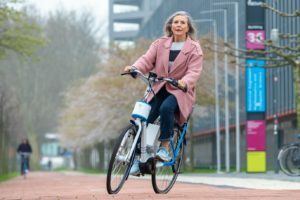 The e-Bike is the only segment that is really growing. After a slow start, the US bicycle market might rejoice a rising popularity in e-Bikes this year. At Interbike a growing number of exhibitors presented their latest innovations and new models. 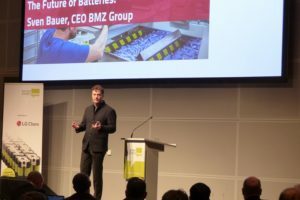 Schwinn even presented the implementation of Toshiba’s innovative battery technology. According to the Electric Bikes Worldwide Report, the US e-Bike sales for 2009 are project for 220,000 units. That is an increase of 83% related to 2007 when 120,000 units were sold. 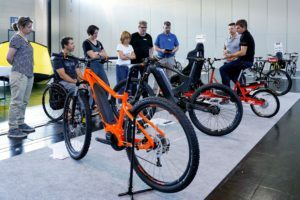 According to the official statistics from the Interbike organizers nearly 5,000 people contributed to record attendance at the two-day Demo and more than 200 brands helped make this year’s event the largest OutDoor Demo since its start 13 years ago. At the show in the Sands Expo and Convention Center more than 23,000 exhibitors and attendees filled the hall.